What does it take to effectively start a business from the ground up? An MBA? Years of corporate experience managing a large staff and a $10 million dollar budget? Cindy Seemann had all that and more before she opened the doors of her business Design Vision Optical. As the daughter of an optometrist with practices in Franklin and Cudahy, she even worked alongside her father during her high school and college years. And after she was downsized from her corporate position she returned to assist her mother who continues to operate the two locations since her father’s death. But it wasn’t until Cindy attended several SCORE workshops and was paired with SCORE mentors Carole Kauss and Tom Radke that she truly felt ready to take that big step. “If it were not for the SCORE workshops I probably would not be doing this,” she said. “It solidified my vision. I wrote LOTS of business plans in my corporate position but when it’s your own, it’s different,” she said. “SCORE made me focus on how I wanted to differentiate my business from my competitors. It gave me confidence and made me believe I could really do this and be successful.” And successful she is! Design Vision Optical is a full-service optical retailer, providing eye exams, contact lenses, reading glasses, sunglasses and sports goggles for adults of all sizes, featuring an assortment of designer brand eyewear including, Coach, Maui Jim, Prada, Ray-Ban, and Silhouette, to name a few. What sets this shop apart is the tremendous selection, latest technology and exceptional customer service they provide. The DVO team is dedicated to fitting their clients with the best option for the way they live and work and they devote ample time with their clients to learn their preferences. 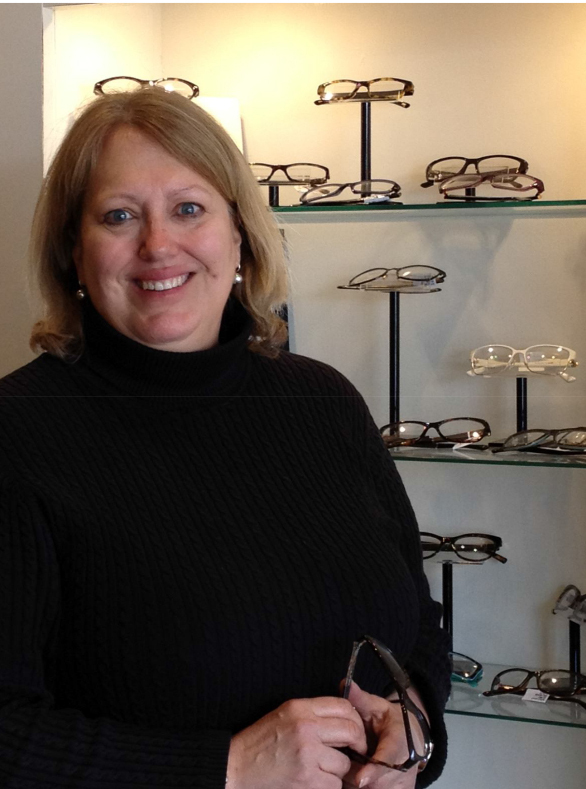 Cindy is a licensed optician and she brings in an optometrist regularly to conduct eye exams. Children are a huge emphasis in this business. When Cindy’s son was just 20 months old they learned he had a condition that would require him to wear glasses. Cindy began the search and was quickly frustrated by the lack of options available. "There wasn't a lot of selection for babies, so finding him the right kind was a long, drawn-out process. When I started the business I resolved that I could use that experience to make this practice easier for other parents of young children." 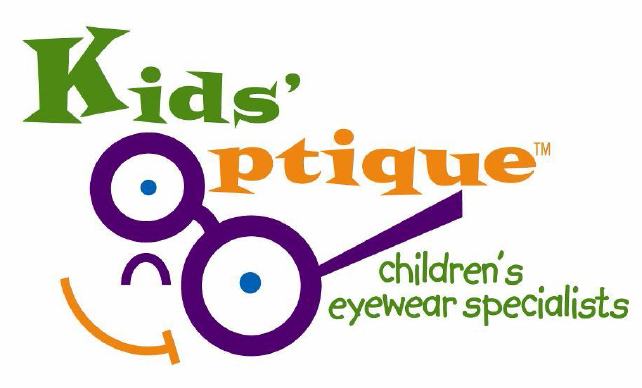 So, Kids Optique, a division of Design Vision Optical, was created to fit babies, toddlers and children with glasses. Local pediatric ophthalmologists trust Cindy’s team with their tiny patients and just like the adults who shop there, the children have many trendy choices from which to choose. Design Vision Optical is housed in a beautiful space that Cindy remodeled top to bottom. Careful consideration was given to every detail – from the warm and inviting wall colors to the antique display cabinet newly fitted with brass casters and sporting a vibrant chartreuse paint job. A sign from her father’s original business location gives a nod to the past. While she honors the role her father played in her journey thus far, Cindy’s business is all about the present and future. A resident of Wauwatosa and fervent supporter of the local community, Cindy took great care to ensure that all the contractors who worked on the Design Vision Optical space were local and even created a banner touting their names. The Wauwautosa Reads book club has been hosted in the DVO space and Cindy plans to open it up to other local groups as well. Life could not be busier for this entrepreneur, wife and mother of a daughter age 10 and son, 13. And that’s the way she likes it. Her business vision has come to life but Cindy’s work with SCORE will continue. “I have 50 ideas! Now I need help planning what to do next. I have great passion but I realize that I am not the expert and I can’t do it all. I need help in other areas like financial planning and goal setting. This is my kid’s future!” And from here, the future certainly looks bright! “If it were not for the SCORE workshops I probably would not be doing this,” said Cindy Seemann owner of Design Vision Optical . “It solidified my vision. I wrote LOTS of business plans in my corporate position but when it’s your own, it’s different,” she said. “SCORE made me focus on how I wanted to differentiate my business from my competitors. It gave me confidence and made me believe I could really do this and be successful.” And successful she is!